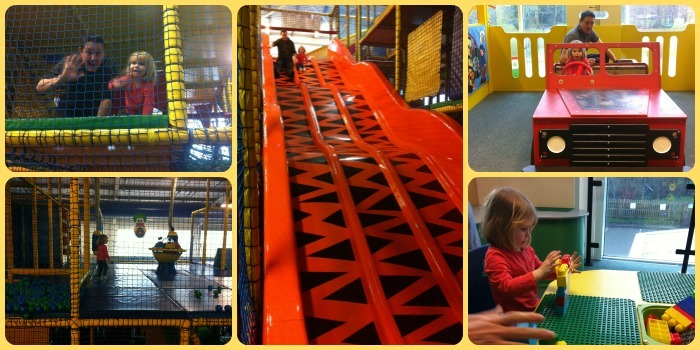 Today we enjoyed a fantastic morning at 360 Play in Milton Keynes. A couple of months ago I was fortunate enough to win a competition they ran on Facebook for a free day pass and as Mr MoaB wanted to go to a shop in Milton Keynes, we thought it would be the perfect opportunity to visit. It's the best soft play we've visited. Time flew by whilst we were in there. We couldn't believe we'd been there a couple of hours. There was such a variety of things to do. When we arrived Little Miss A wasted no time kicking her shoes off to go off to explore the 3-storey play frame. Initially she went in with her Daddy, but later on she had the confidence to go in on her own. The slides were crazy fast - they whipped down them! The great thing is that you have good visibility all around the play frame, so could generally spot where Little Miss A was. There is a separate Toddler Zone, but this doesn't interest Little Miss A anymore. Included in the entrance are the Rides. 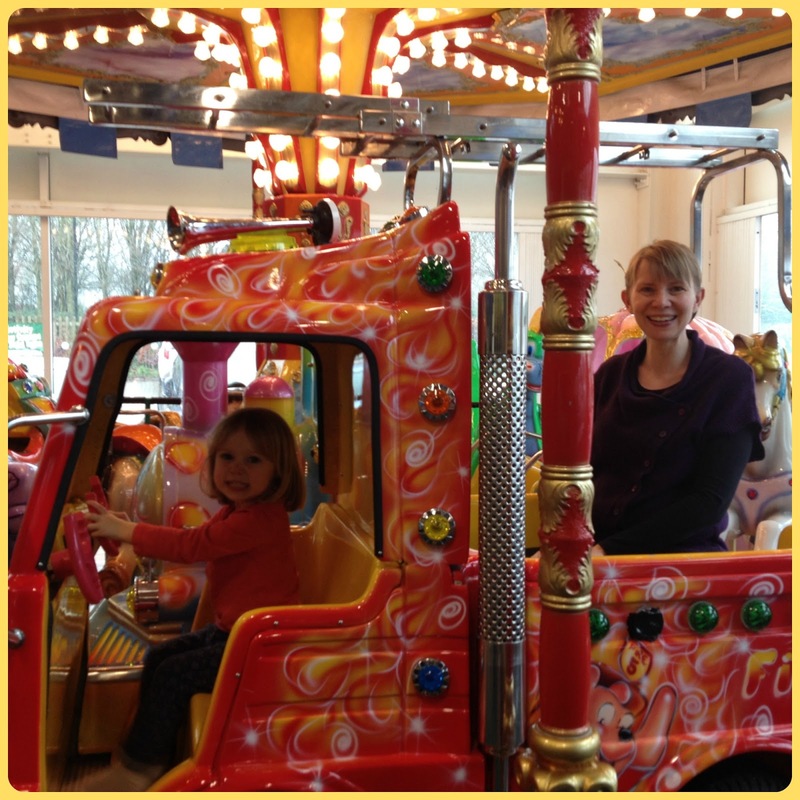 So next up was a spin on the Carousel and then a go on the Dodgems with Daddy. 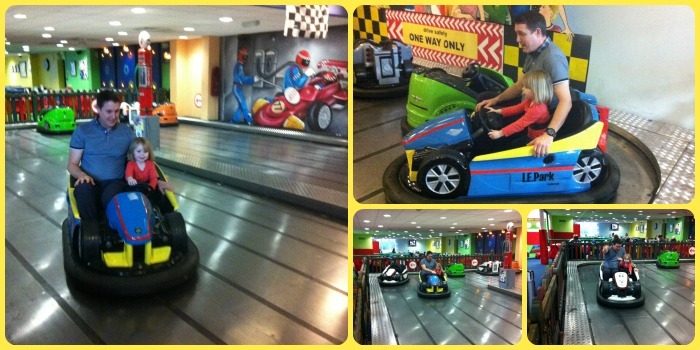 Little Miss A was a pretty good driver and picked up how to steer around the corners really well! A quick pit stop with a drink from the Cafe and then we went upstairs to 360 Street. 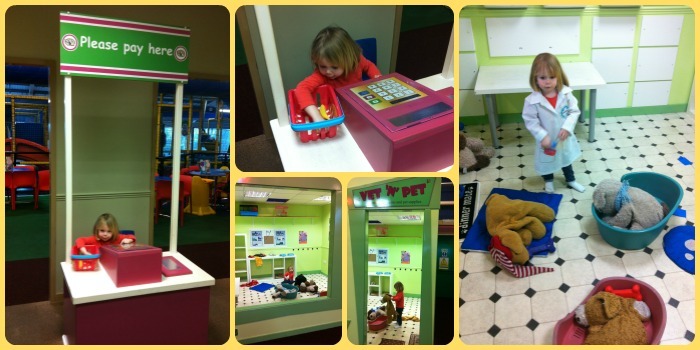 This was a brilliant role play zone with a pizzeria, shop, vets and garage. There were even lots of costumes to dress up in. 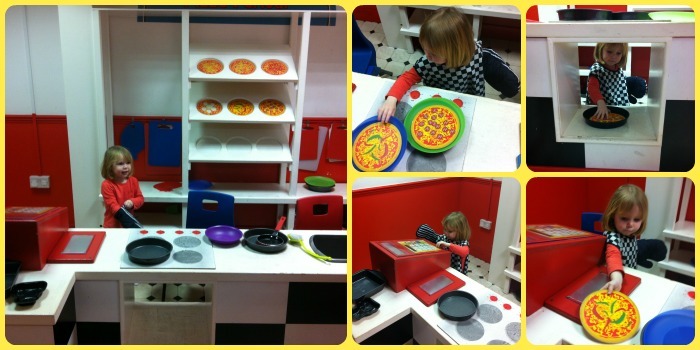 Little Miss A most enjoyed playing in the pizzeria, and her pizzas were very tasty!!! Upstairs, there was also a lego/duplo building area which we spent a little bit of time in. Plus a Messy Play Area but there wasn't a session running whilst we were there. The centre also has an Outdoor area so we'll have to visit again later in the year when this is open. 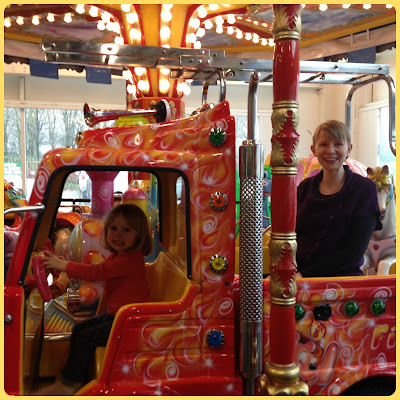 Little Miss A and Mr MoaB spent some more time in the play frame before it was Mummy's turn to go on the Carousel! We definitely could have stayed longer. It was a great time to go as it wasn't that busy. There were enough other people to create a nice atmosphere, but there was so much space and we didn't have to wait for the rides etc. The whole place was very clean and tidy and the staff were helpful. We had hot drinks from the cafe but most people there seemed to be taking advantage of the hot meals and they looked good. It's worth keeping an eye on their Facebook page as they sometimes have special offers on food. We were going out for lunch but we'll most likely try the food next time. It is more expensive than your usual soft play and you have to pay for adults. However, given the range of different activities on offer, the cost does seem justified. It's definitely worth paying 360 Play a visit. There's so much to do so we'll definitely be going back.